If you are looking for a new dentist in the Williamsville, NY area, look no further than John J. Nasca Jr. DDS. A compassionate family dentist with over 30 years of experience, Dr. Nasca has been creating generations of smiles here in Western New York. 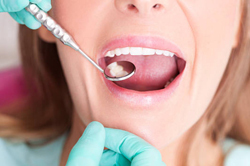 Whether you need a simple cleaning or a more complex procedure, Dr. Nasca is the dentist to call! 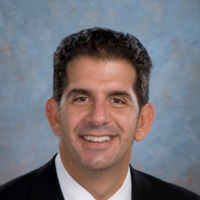 Dr. Nasca has been proudly serving Williamsville and the entire Buffalo, NY area since 1987, which is when he earned his doctorate from the State University of New York at Buffalo School of Dental Medicine. 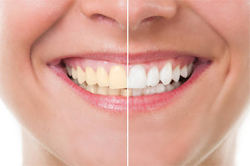 Dr. Nasca is a general dentist who can treat patients of all ages, offering a wide range of services for the best smiles possible. In addition to his practice, Dr. Nasca is also playing a vital role in training the next generation of dentists. He returned to his alma mater in 2011 to serve as a clinical instructor and has assisted there ever since. He is also very involved in local and national professional groups, as he is a member of the American College of Dentists and served as past president of the East District Dental Society. Dr. Nasca offers dental services for the entire family, taking particular pride in working as a children’s dentist. He knows that the dentist’s office can be scary for little ones, so he spends extra time with his youngest patients to put them at ease and make sure they have the skills and tools to maintain healthy, beautiful smiles for life. In addition to pediatric dentistry, Dr. Nasca also offers general and cosmetic dental services for adults and adolescents. He can take care of you for your twice-annual cleaning, whiten your teeth, perform root canals, install dental crowns, and much more. Call Dr. Nasca’s office today to make an appointment. Dr. Nasca and the entire team here look forward to serving you!